In the exam we were straight-away given difficult animations to create, somehow we managed, but it was a thunderclap for us, seriously. Maya is a vast, extremely vast software and one semester was surely not enough to explore it. I didn't do much practice, but I liked that software. It was sometimes fun to draw things in it. I won't share any of my creations here since I never saved them! LOL!! 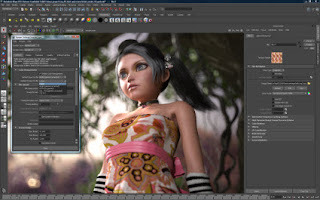 Rather, I would share with you all an introduction to this software that was sent to me by one of my friends so I don't know from where he got the matter :D Apart from that, I have found some nice videos on Youtube teaching Maya, so I will embed them too in this post. 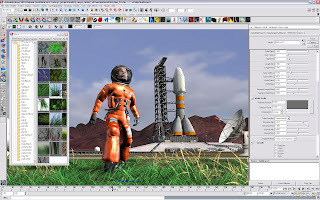 It is 3D computer graphics software that runs on Microsoft Windows, Mac OS and Linux, originally developed by Alias Systems Corporation (formerly Alias| Wavefront ) and currently owned and developed by Autodesk, Inc .Maya 1.0 was released in February 1998. Following a series of acquisitions, Maya was bought by Autodesk in 2005. 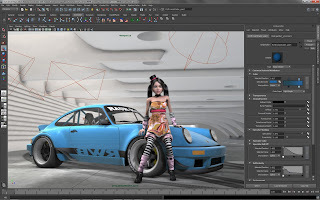 Under the name of the new parent company, Maya was renamed Autodesk Maya. However, the name "Maya" continues to be the dominant name used for the product. It is used to create interactive 3D applications, including video games, animated film, TV series, or visual effects. The product is named after the Sanskrit word Maya (माया māyā), the Hindu concept of illusion. Users define a virtual workspace (scene) to implement and edit media of a particular project. Scenes can be saved in a variety of formats, the default being .mb (Maya Binary). Maya exposes a node graph architecture. Scene elements are node-based, each node having its own attributes and customization. As a result, the visual representation of a scene is based entirely on a network of interconnecting nodes, depending on each other's information. For the convenience of viewing these networks, there is a dependency and a directed acyclic graph. Alongside its more recognized visual workflow, Maya is equipped with a cross-platform scripting language, called Maya Embedded Language. MEL , is provided for scripting and a means to customize the core functionality of the software, since many of the tools and commands used are written in it. Code can be used to engineer modifications, plug-ins or be injected into runtime. Outside these superficial uses of the language, user interaction is recorded in MEL, allowing even inexperienced users to implement subroutines. Scene information can thus be dumped, extension .ma, editable outside Maya in any text editor. Maya's support for Python script in tandem with the native Maya Embedded Language (MEL) are the finishing touches that ensure your satisfaction with the product. 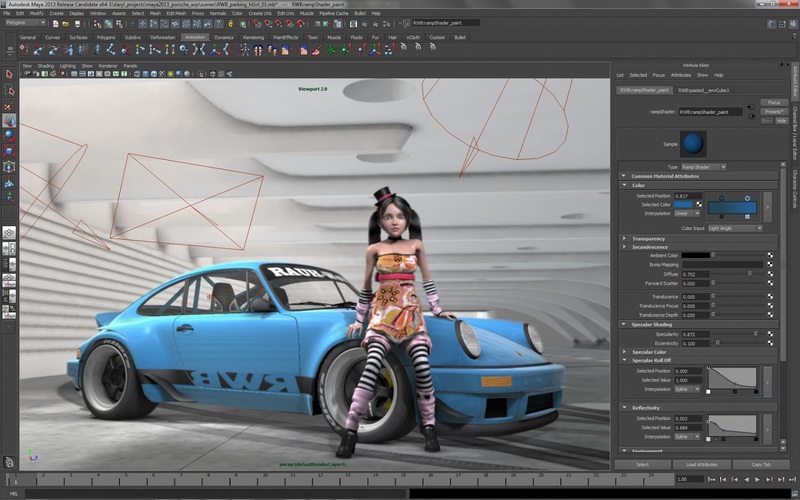 If Maya doesn't do something when you pull it out of the box – and you'll probably have to dig for a long time before you find something it doesn't do – you can extend Maya's capability with scripts of your own. Maya really shows its grit when it comes to animation. It supports scripted animation, keyframe animation and procedural animation. You can animate in separate layers, dub your animations with multiple audio tracks, and even render your animations in stereoscopic 3D. Apply motion capture data to your character models and splice models into existing footage with the motion tracking feature. Slow down or stop the timeline for Matrix-like effects with the time warping feature. Edit the motion trails of objects for easy adjustment of your animations. Copy movement patterns from one character to another with the Maya-exclusive animation retargeting function. The list of animation features could go on and on, but you get the idea – this 3D animation software is a powerhouse. Maya's toon shader is ideal for cartoon-like images and does a great job of imitating hand-drawn and cell-shaded art. Manga artists will get a lot of use out of this feature.